We appreciate feedback from our patients and guests. 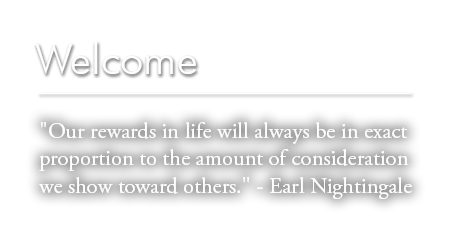 Below you will find a few positive experiences our patients have provided us. To read more patient reviews visit Demand Force. It was wonderful as always! The more I go, the better my teeth look. It’s worth the drive from Austin! Having worked for a dentist many years ago – I have no “fear” of going to the dentist. You and your staff provide a professional and soothing experience, from the moment you walk through the door. It’s no wonder why you have such a successful practice. Keep up the good work. Thank you for taking the time to get to know me as more than a dental record. I enjoyed meeting all the staff. I drove 2 hours for my visit and it was worth it. Very caring service by administrative and clinical staff. Very impressed with Dr. Stanley’s attention to detail and personalized care. Looking forward to using you for all of my dental needs. We are back in Del Rio and I am feeling very well. Everything went extremely well. Everyone in the office is very pleasant and caring. 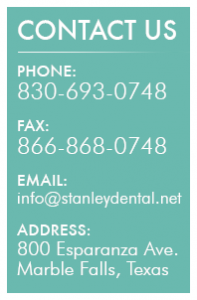 I will definitely recommend Dr. Stanley to anyone who is interested in any kind of dental work, especially amalgam removal. Thank you. Both Dickey and Logan Stanley are by far the most talented, compassionate dentists I have ever known. Their workmanship is superior in all aspects of care – from materials, to “pain-free” administration, to lasting, healthy dental care. When you understand how much of our health is dependent upon the health of your teeth – you become much more interested in getting the “best” rather than the “cheapest”. Their rates are very comparable but they skills are far superior to any other dentist I know. I travel an hour and a half for my family’s dental care and it’s worth every penny. The Doctors and their team at Stanley Dental are always so sweet and attentive. I will never go anywhere else for my dental needs. My experience was the best I have ever had. From the time I walked in the front door (Jennifer) until the time I left, I was at ease and felt right at home. I enjoyed both doctors, and didn’t have any questions. They told me step-by-step what was going on and what everyone was doing. You folks need to put another Star on ratings as far as I am concerned. Dr. Stanley specializes in biological dentistry. He works with patients who have illnesses that may be related to dental issues. This is a highly skilled man, with years of experience, who cares about his patients and their outcomes. Dr. Stanley is not your normal dentist. I found that he took the time to sit down with me and fully explain my situation. The attention to detail and the willingness to give individualized care is something that is lacking in the medical field these days. Not with Dr Stanley and his staff. I have found my Dentist from this point forward. Thank you. Personal and Professional Care were among the best I’ve ever received! Also very thorough dental cleaning – great soft touch! I appreciate the wonderful people at Stanley Dental. Kind, considerate and extremely professional. Both Dr. Johnny Stanley and his son, Dr. Logan Stanley, continue to keep abreast of all the latest techniques in order to give their patients the best care possible. I am very happy to be a patient at Stanley Dental. I am extremely impressed with the time Dr. Stanley spent with me on my consult and evaluation. He is very thorough, caring, and so sincere with wanting to accomplish the very best for my overall health and dental needs. I could not be more pleased with my experience with Dr. Stanley.